We just returned from a long weekend in Chicago. Grant played a gig there with Derek Hoke and we decided to make a long weekend out of it. We had so much fun visiting lots of different friends and exploring the Art Institute and Bucktown Arts Fest where lots of our buddies were showing their art all weekend. We didn’t really plan ahead. In fact, we did not research anything beforehand which is odd for us but we just let it all happen. We ended up finding lots of good food anyway. Our first night there, we explored Chinatown with our buddy Ed. We had yummy food and cocktails (Mai Tais!) at Cantonesia. The firemen recommended it and firemen always seem to know about good food. After dinner, we watched as they filmed Transformer 3 down the street. Ah, real Chinese food!… The next day we had an Anthony Bourdain moment for lunch as we ate famous pork sandwiches from Maxwell Street Depot in Bridgeport, where we were staying. Our friend Joe recommended it. Apparently, this is a Chicago establishment. Some even say it is run by the mob! They had great fries and literally, it was a pork chop on a bun- bone and all! Our friends Jon & Sally met us at one of their favorite spots, Cafe Central, which serves Puerto Rican food. We got there first and I was looking at the menu thinking “this place is a mistake” as it just seemed like any old diner. Luckily, I was wrong. It was delicious. I had an amazing chicken and rice dish and we had some fried plantains that were delicious! After traveling around town on the L one day and exploring the Art Institute, we jumped back on the L and headed up to Wicker Park. The train let us off and voila, a noodle house stood in our midst. 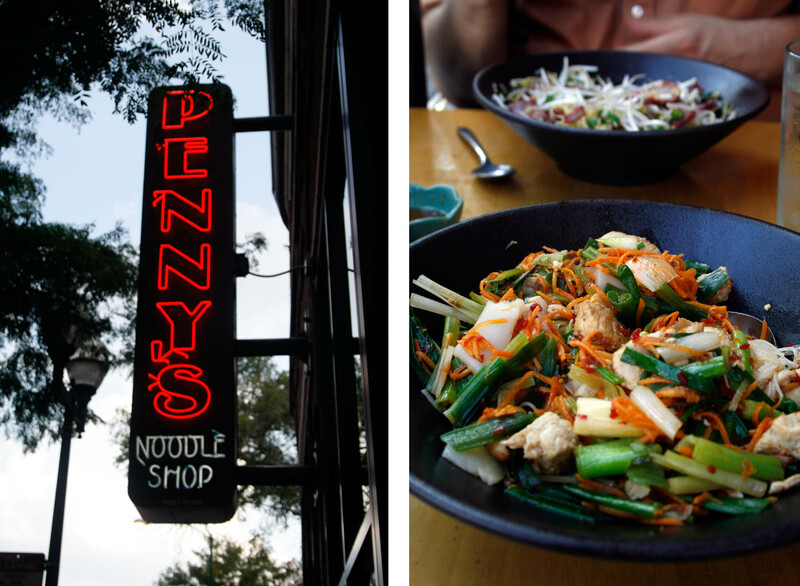 Penny’s Noodles, turns out, is a favorite of many of our Chicago friends. What a lucky find! And on our last morning there, our friends Dolan and Ali Marie took us to brunch at Toast in Bucktown. This place was amazing! They have stuffed French toast! So, for not having done any research, I’d say we fared pretty well in Chicago. We hope to go back soon so we welcome suggestions of favorite restaurants for future visits. Oh, and there was music of course… Derek and Grant borrowed the Waco Brothers’ rhythm section for a great set of music at the Bucktown Arts Fest. Next, our friend Jon led us up north to Skokie so we could visit with friends from Seattle, The Presidents of the United States of America, who were playing the Skokie Silent Film Festival. Who knew we’d end up in Skokie? We had noticed that Dave Alvin was playing across town, too, and it is always hard to pass up a chance to see Dave so we drove all the way back down to Fitzgerald’s in Berwyn where we got to surprise another friend from Seattle, Christy, who is a Guilty Woman extraordinaire. If you haven’t seen Dave Alvin and the Guilty Women, you should. They are amazing! He’s assembled some of the most talented women in music now for his backing band and they will blow your mind! 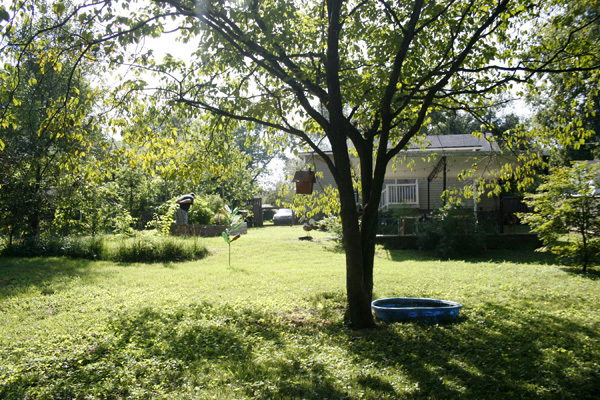 The temperatures in Tennessee finally broke and with temperatures in the upper 80’s and low 90’s, everyone suddenly thinks Fall is on the way. 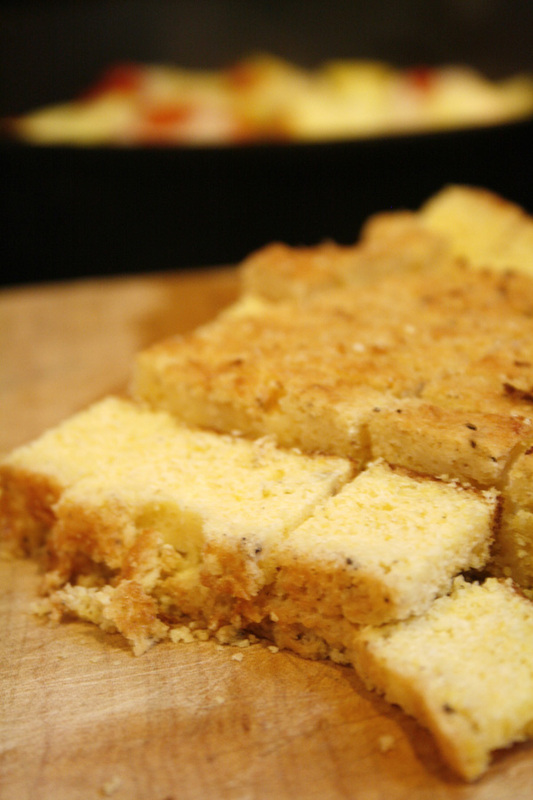 This and battling bad colds at our house has made us crave more comfort food! 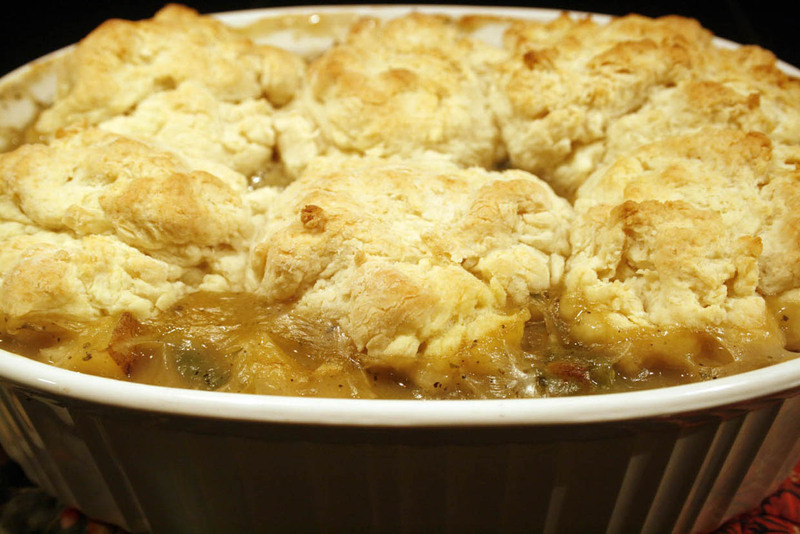 Here’s a Chicken Pot Pie I concocted last week that turned out really well. Heat oven to 350. Place chicken, garlic cloves, and potatoes on baking sheet, rub with olive oil, and sprinkle with herbs de Provence, salt, and pepper. Roast in the oven for 35 minutes. Meanwhile, in a small saucepan, heat the chicken stock. In a large skillet or Dutch oven, melt the butter and a little olive oil and saute the onions over medium-low heat for 10 to 15 minutes, until translucent. Add the flour and cook over low heat, stirring constantly, for 2 minutes. Add the hot chicken stock to the sauce. Simmer over low heat for 1 more minute, stirring, until thick. Add in the carrots, green beans, and mushrooms. Add 2 teaspoons salt and about 1/2 teaspoon pepper. Add the cubed chicken, potatoes, garlic and fresh parsley. Mix well. 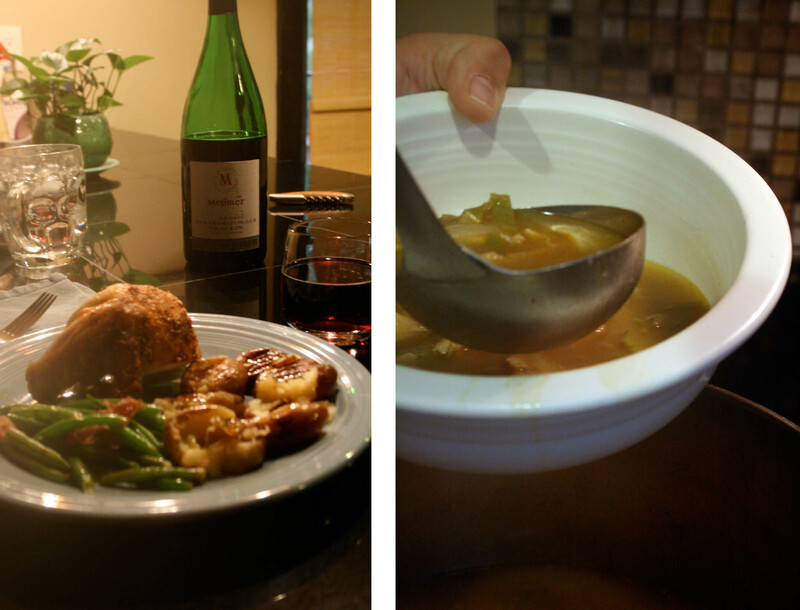 Pour into an oven safe dish. Bake at 375 for about 45 minutes. Also a favorite while I was a sicky was a Chicken Tortilla soup Grant made with leftover whole roasted chicken. 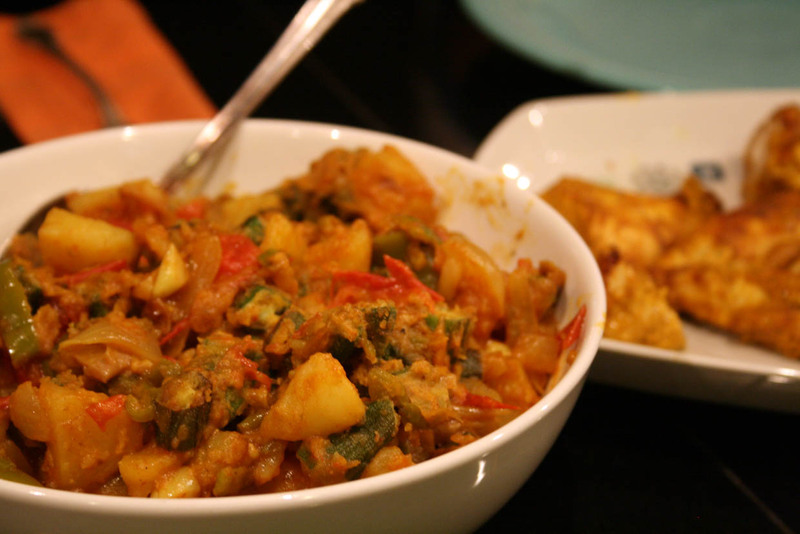 It was loaded with fresh garlic and green chilies and was very delicious and nourishing. Garlic is so good for boosting your immune system and fighting infection! Saute the garlic in the olive oil and butter until it is browned and starts to soften. Add onions. Saute until soft. Add peppers and saute until soft. Add chicken and saute until warm. Add spices and mix thoroughly. Add stock. Bring to boil and then simmer 1/2 an hour up to 2 hours. Add juice of 1/2 lime before serving. Garnish bowls of soup with tortillas, cheese, cilantro and wedges of lime. Speaking of being sick, I stayed home from work one day and watched the food channel all day long! One of the recipes that caught my eye was a tandori style chicken Rachel Ray made. 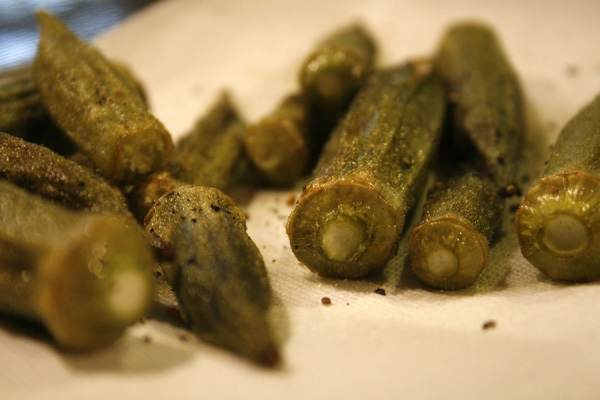 Even better, though, was the okra dish Grant made up to accompany it. It was spicy and yummy! Par-boil the potatoes, whole. Set aside. Once cooled, cube. in olive oil. Put aside to drain. stock and lime juice. Next add the okra back in. 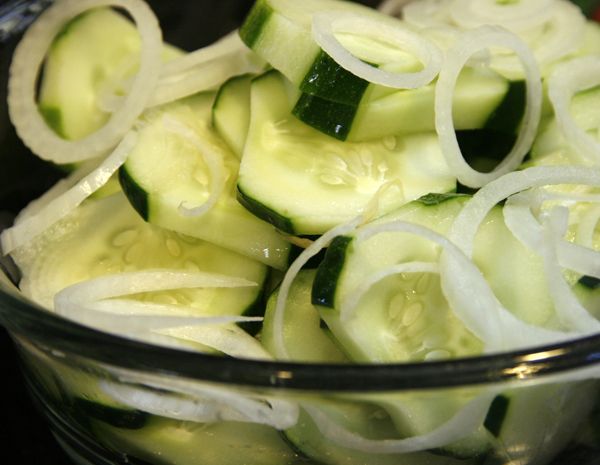 And, with summer winding down we’ve been trying to cook as much as we can with all the summer veggies still available. 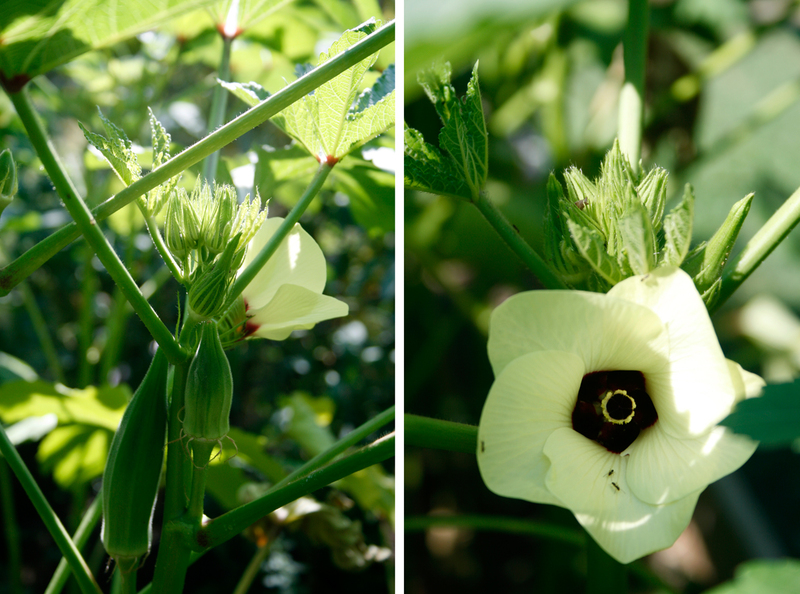 Hurry up, the okra won’t be around for much longer. We made one more pot of gumbo! 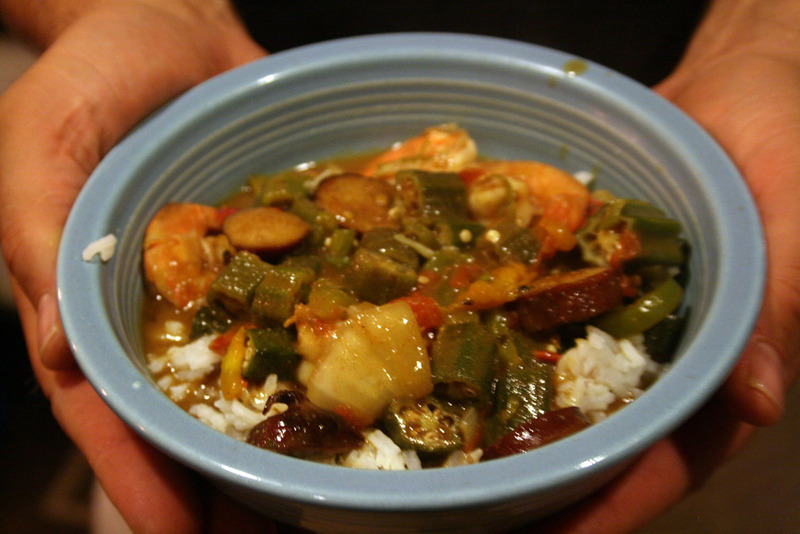 Gumbo-rific! The local, fresh blueberries are almost gone, too. 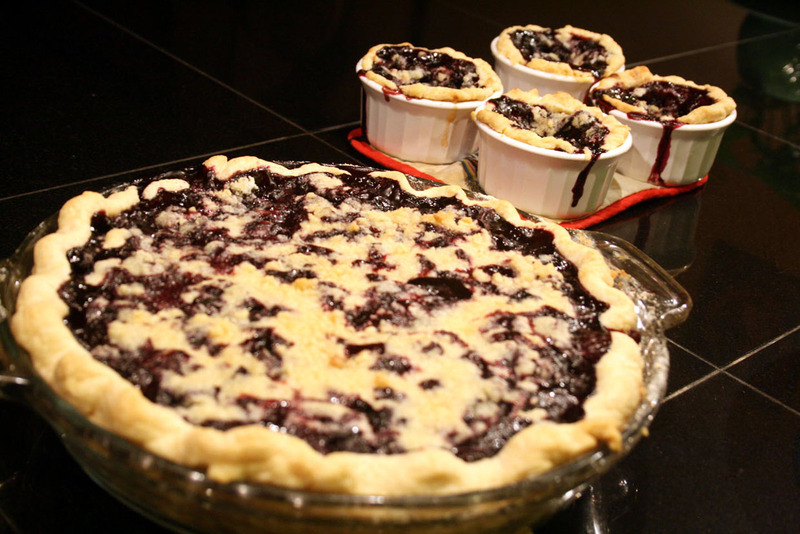 I made a few more blueberry pies last week.